CADUCEUS AND KARYKEION OF THE BODY-SOUL "KA"
The word "Caduceus" is a Latin word, meaning ; Dead Body, and the word "Karykeion" is a Greek word, also meaning ; Dead Body. Both are translations associated with the Nubian word "Ka", meaning; Body-Soul. Caduceus and Karykeion to the English meaning ;- "corps" or cadaver (dead body). The life and death spiritual judgment staff of the "Ka"; the Body-Soul of the human being body was in command of "Tutu-Ani" as the Divinity for the "Ka". The judgment staff with two snakes wrapped around each other upwards over a pole, with an open wings of a headless eagle, has been used as a symbols by others for other representations, this manipulates its true identity into a false representations. 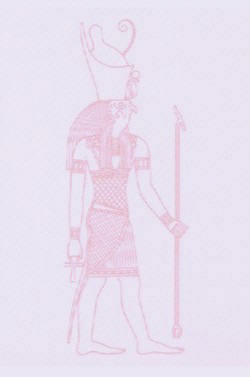 The Caduceus staff for the "Ka" is used during the Ancient Nubians Judgments of their "Ka"; the body-soul. This spiritual judgment always occurs in the presence of "Osa", the human figure of the Supreme Divine Creator of the Universe, with the attendance of the 42-Divinity King-Judges from 42-different city-states of the Ancient Nubians controlled territory within the then vast Nubian Plains. As mandatory, Tutu-Ani will be conducting the sermon. The Body-Soul Judgment sermon came about due to the Holiness practices of the 42-Declarations of Innocence as their Life time achievements to Immortality. During these regimes, holiness was being practice by using many holy Doctrines include the 42-Commandments. The Nubian "Tutu-Ani", the icon of the Ancient Nubians General philosopher in Divinity Doctrine, whom part of his name "Tutu" has been poorly and phonetically translated in a consonant form as "Thoth". "Tutu-Ani" name and image has been converted to the name "Hermes" by the Greek, and converted to the name "Mercury" by the Romans. Ironically, both "Hermes" and " Mercury" presentation status are of Caucasian images. The ancient Nubian "Tutu-Ani's" phenomenon role within the Ancient Nubians Spiritual and philosophical Doctrine, as the Philosopher in Divine Doctrine, was due to his intentionally groomed by his Nubian Holy Elders, through spiritual ritual, to be the holiest man to represent any holiest act any Divinity activities. The Nubians "Ka" (Holy-Testimony) of the so-called hieroglyphic symbols, in which the scriber's symbol is a human body with the head of the bird Ibis was another symbol represented by and for "Tutu-Ani". However, the powerful bird Eagle symbol is the actual symbol represented by and for "Tutu-Ani" as his signature symbol, while the ink-jar and the pen symbol is for the "Kpa" written alphabets and its words of the so-called hieroglyphic. The Ga-Adangbes "Ga" word "Kala" (Kla) which means Body-Soul corresponds with the Ancient Nubians "Ka" the Body-Soul. However, the Ga-Adangbes "Ga" word "Ka" means "Body", and "La" means Spirit Soul = "Kla" (Kala). "La" literally means Fire and spiritually means "Spiritual Fire Soul" of the fire soul which surrounds the sun. The Ga-Adangbe "Ga" word "Gbomo-tso" is another word for the human body. Not to confuse the words "Kla" (Kala) of the Ga-Adangbes "Ga" word Body-Soul, to that of the word "Susuma" of another Ga-Adangbe "Ga" word which means "Body-Spirit". There is also the Susuma which means shadow, and the word "Mumo" which means body-energy, of breathing, movement, pain, love, singing, speaking, crying, anger etc. "Ka", "Kala" or "Kla"; the body soul of the human being, is the translucent Body-Soul, which is to transcend with the Body-Spirit to the other side of life. The translucent Body-Soul is what the "Ka's" judgment staff is used upon to be finally judged, to enable the "Spirit" of the dead person to be transported with, to its proper destination. The performance of this sermon is conducted by "Tutu-Ani" whom sometimes known as "Ani". The "Ka" and the "Spirit" of the dead person become immortal Spirit-Soul, when the judgment of the "Ka" is pronounced sinless or holy. In return the family of the sinless will build a shrine to symbolize the immortal holy person spirit -soul. The physical shrine will be named in honor of "Tutu-Ani" as "Otutu", while the immortal body-soul name of the dead person will be the name given to the "Otutu" shrine spiritually. Otutu shrines seen in some Ga-Adangbe sub-nations like the La-Asafo areas, symbolizes an Ancient Ancestral Divinities whose "Kla" or "Ka" (Body-Soul) went through the Ancient Body-Soul judgment sermon, and now a legacy of the Ga-Adangbes. Divinities like ;- "Dzo-bu", "Osa-bu", "Aflimi", "Koolo", Naa-Yoomo", "Nyumo-Tsaa" and many more, not intentionally mentioning others to leave others. This type of judgment of "Ka" the (Body-Soul) and its immortality activities, is still being conducted for Kings, Queens, Oracles, Asafoatse-people, and highly spiritually incline persons. 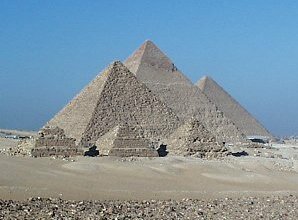 The "Otutu" shrines at the Nubian Plains, the now Egypt and territories and in some nations on the continent now called Africa, symbolizes as a Historical Ancient Spiritual Ancestral Grounds. The "Otutu" Shrines varies in different styles, not only in pyramid or step style only. The name "Otutu's" reputation has been ignorantly degraded, due to lack of knowledge in general or due to brain washness, by later foreign religion introductions into some community-environments. The word "Won" or "Worn" in the Ga-Adangbe language has a broader meaning, just like the word "Spirit" of the English language. 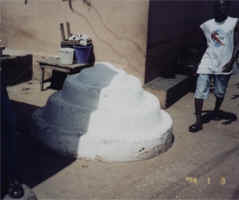 Since the "Otutu" shrine were not associated with the foreigners later religions, that they introduced to the Nubians now Africans, during the European colonization regimes of Africa, but rather the "Otutu" shrines being seen among the Ga-Adangbe communities as part of their spiritualism, the foreign religions engaged in atheist practices against the monotheism practices of the Ga-Adangbes. Sometimes, the "Otutu" shrine is described as "Won", which may be appropriately and absolutely correct, if that "Otutu" or "Won" is associated with monotheism. 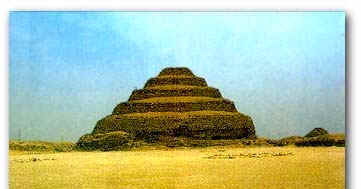 The Ancient Ancestral Nubians did not practiced nor believed in cremation. They spiritually and biologically studied the human being into details ;- The heart-soul, the body-soul and all the organs and their souls were carefully studied and were given names. The uniqueness of the human organs with their divinity names, also contributed to the successfulness of the immortal matrimony, between the whole Human Body-Soul and the whole Human-Spirit. Only these two divinity components of the human being can separate themselves together from the human anatomy, through death. In this case, the human translucent Body-Soul and its Spirit are able to move their spiritual being, any where unconditionally. This is when the human body soul's translucent is needed by the spirit to the other side of life, after the dead of the human anatomy. The human body is to be buried after the transcendent process is completed, this will prove to the dead, the affirmation of the Body-Soul judgment completion. The preparation and physical burial process for the dead, is part of his living process, until the transcendent of the translucent Body-Soul and the Spirit is completed. Cremation stops the transcendent process, which in these cases, it can result in spiritual anger or dangerous provocation of the dead, if prior to the dead person, he or she did not authorize cremation. Cremation also create "Otorfo"; a Ga-Adangbe word used for a dead person, whose spirit is trapped on earth and could not get to it final destination, These types of the dead "Otorfo" causes deadly incidents at their will. Sudden bloody accidental death or sudden bloody non-accidental death are one of the causes of a dead person being in "Otorfo" state also. Fortunately, the Spirit and the Body-Soul can be spiritually released to its destination through other spiritual ritual. Another spiritual area specialty of the Ga-Adangbes of the present Ghana. BELOW; DIVINITY WOMEN AT THE HOLY GROUND OF THE LA-KPA, DURING THE GA-ADANGBE LA-ASAFO HOMOWO FESTIVAL 2005. THESE DIVINITY WOMEN AND MEN ARE THE HOST OF THEIR ANCIENT NUBIAN DIVINITIES, EACH ASSIGNED WITH "OTUTU SHRINE", ALONG WITH THE OTUTU'S NAME. "SO THE PAST IS PRESENT AND THE FUTURE IS PRESENT". GLOBAL NETWORK ICON, INC. COPYRIGHT . 2016 ALL RIGHTS RESERVED.